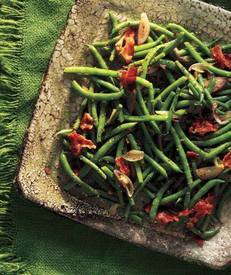 Green beans w/ bacon vinaigrette! I love green beans. No, really, green beans and broccoli are my favorite veggies. But, there is nothing better than my favorite veggies with BACON!! Why? Because Bacon makes everything better!